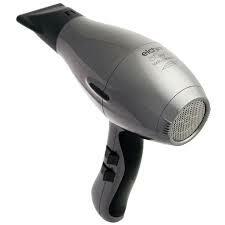 It's very light: 35% less than a traditional hairdryer of the same class. Perfect for traveling. Ergonomic: helps preventing the carpal tunnel syndrome. Powerful and silent: with an hybrid engine of the latest generation, it gives perfect results on every kind of hair. Ecology-minded: the quick hairdrying time reduces the energy consumption, and the hairdryer is realized with recyclable materials to respect the environment. Healthy for the hair: the infrared heat emitted by the ceramic covering, and the millions of negative ions, help close the hair cuticles, favoring the hair hydration, and protecting it from the heat effects. Special open-cell air filter: purifies the air, and keeps the hairdryer clean. Low electromagnetic emissions: a precious ally for your health. The Bi-diffusor Elchim Cocoon is compatible, and available separately.